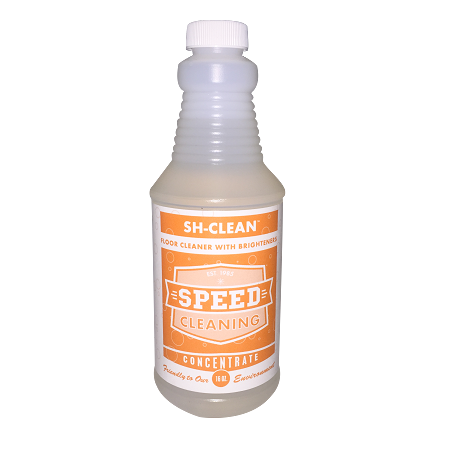 Home > Cleaners > Speed Cleaning™ Sh-Clean Floor Cleaner (16 oz. Concentrate) Makes 4 Gallons! 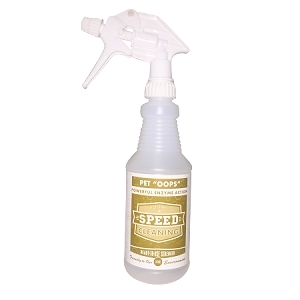 Our gentle, neutral floor cleaner cleans as well as our other favorite, Clear Ammonia, but without the fumes. Mix a small amount of Sh-Clean concentrate with water, wash, and you're done. 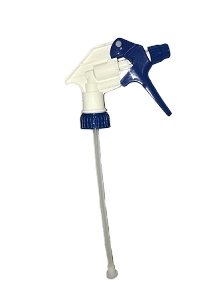 It leaves a bright sparkling-clean floor without time consuming rinsing. 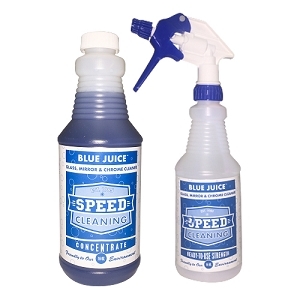 Add a little more to the water and you're ready to tackle heavier-duty cleaning. 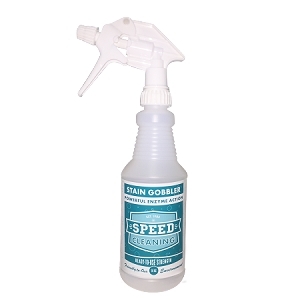 Safe for use on all finished floors including poly-coated wood and marble. There is no wax in Sh-Clean. 16 oz. 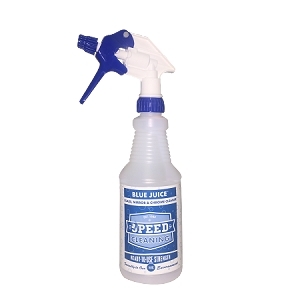 of concentrate makes approximately four gallons of cleaner. Concentrate makes 4 Gallons! That's less than $1.60 per 16 oz Bottle! 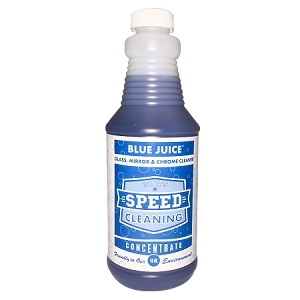 Speed Cleaning™ Blue Juice Concentrate (16 oz.) Makes 20 16 oz. Bottles!